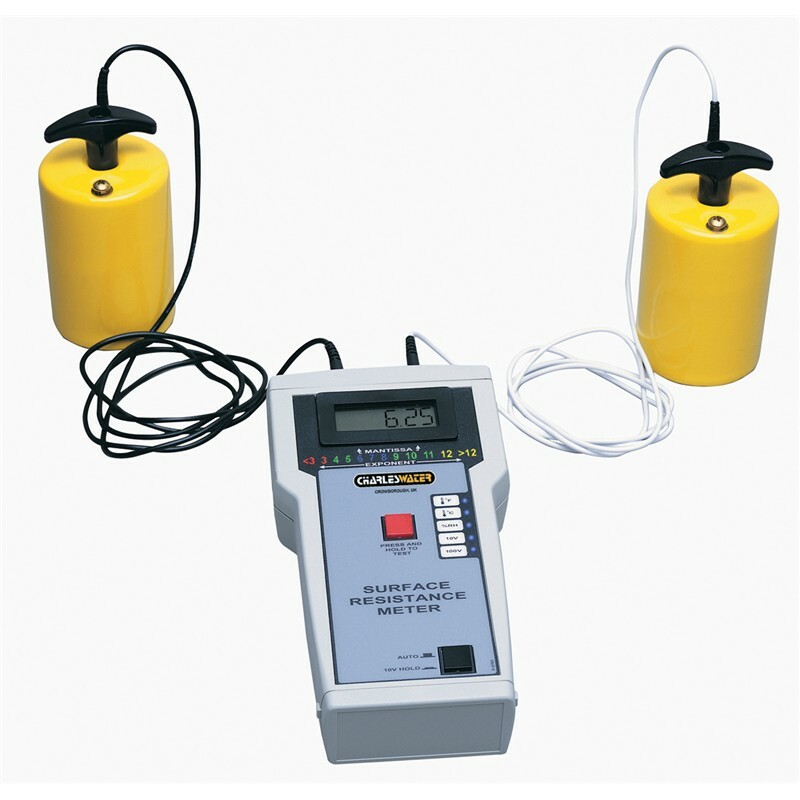 Deal of the Week – 20% Off Surface Resistance Meter Kits! New Limit Comparator for Testers Available at Charleswater.co.uk! Frequency of recalibration should be based on the critical nature of those ESD sensitive items handled and the risk of failure for the ESD protective equipment and materials. In general, Charleswater recommends that calibration be performed annually. Using a current limiting resistor in the ground cord is the user’s choice; however, the resistor is not for ESD control purposes. Either without resistor or with a one megohm resistor is acceptable, but most all Charleswater ground cords do contain a resistor at the snap end. Charleswater Rigid Conductive Boxes are marked with the ESD protective symbol. Boxes can be supplied with or without high density (HD) foam for insertion of component leads or low density (FX) foam which acts as a cushioning material meets EN 61340-5-1 Table 4 Packaging required range for conductive packaging. TEAM5 is the most powerful and accurate ESD Test Acquisition Software on the market. Use TEAM5 to automate and manage the ESD test data collected by the SmartLog V5™. ESD control products that provide a Faraday Cage or shielding include Charleswater Statshield® Metal-In Bags, and Statshield® Metal-Out Bags, Protektive Pak™ impregnated corrugated with shielding layer when using a lid, and Conductive Totes. Charleswater ESD Lab Coats create a Faraday Cage effect around the torso and arms of the operator and shields charges from the operator’s clothing from damaging ESD sensitive devices. (Technically, suppressing the electrical field from clothing worn underneath). There are standard tests measuring the energy penetration of electrostatic discharges to the interior. The Shielding test method per EN 61340-5-1 Packaging table 4 is ANSI/ESD STM11.31 and the required limit is less than 50 nanoJoules of energy. Note: EN 61340-5-1 Edition 1.0 2007-08 can be purchased from the IEC website. Creates a more consistent connection and helps to prevent accidental disconnects with operator’s wrist strap. Versatile design allowing placement where desired up to 7 feet from control unit. Provides true 100% continuous monitoring.